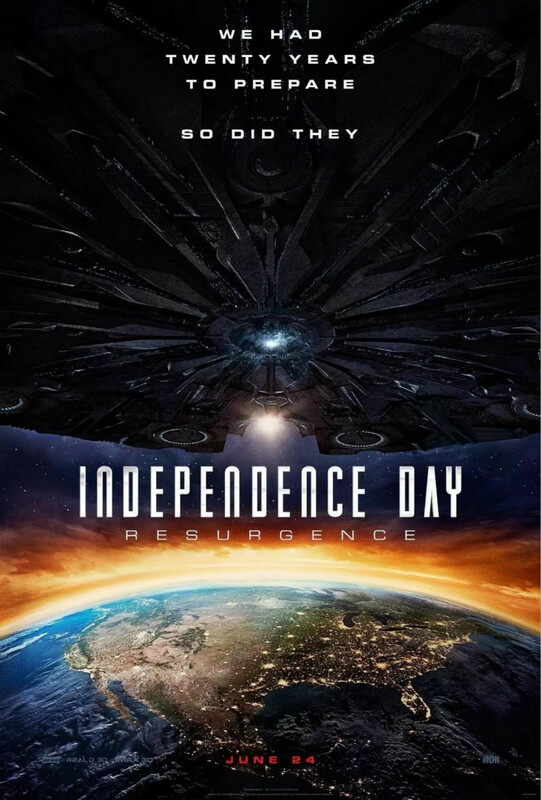 Independence Day: Resurgence is a 2016 American science fiction film directed by Roland Emmerich, a sequel to the 1996 film Independence Day. It was released by 20th Century Fox in 2D, 3D and IMAX 3D on June 22, 2016. The font used for the film title in the poster is very similar to Industria Solid. Designed in 1984 by British designer Neville Brody for a magazine called The Face, Industria is an ultra-condensed sans serif display face that is available in a solid version and an inline version. In addition to Independence Day Resurgence, Industria typeface is also used in the following logos, movie posters or album covers etc., including: Virtue’s Last Reward (Video Game), System Shock.